In today's global market, real estate in Kenya is becoming a new investment option. Kenya is one of the more successful countries in Africa, that has recently seen major advancement in both the government and the private sector. It also has a very active tourist industry. Kenyan real estate has turned into a busy industry. When buying real estate overseas, you will need a lawyer. The transactions will not be simple, and having a lawyer on hand right from the beginning can save you time and money. 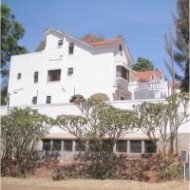 The local Kenyan consulate should be able to suggest a lawyer who has experience in buying real estate in Kenya. The lawyer will need to be living in Kenya in order to represent you in these proceedings. Unless you already live in Kenya, your lawyer should have power of attorney to execute all manner of transactions without you being present. If you are buying property for your own residence, and intend on being present in Kenya, then this may not be as necessary a step. There are a few things about Kenyan real esate that you will need to pay attention to, namely the title of the property. Unlike most property in North America, the majority of land in Kenya is considered "leasehold". You don't actually buy the land under your property, you simply lease it from the government. A typical lease will run span 50 to 99 years. When the lease is up, the owner has to apply for an extension. This is a tedious process, but one that is usually granted after about a 6 month wait. Banks or mortgage companies may not permit financing on any property with less than 50 years left on the lease. One other issue that your lawyer must pursue is finding out who truly owns the property in the first place. It may seem trivial, but it is a common problem with Kenyan real estate. Unregistered parcels of land will make it difficult (if not impossible) to determine who the legal owner. The seller may try to convince you that it does not matter, but you should not buy any property without a clear legal title. Most importantly, do not make any assumptions with regards to the regulations when buying property. What may be commonplace in North America or Europe, may not be in Kenya. There are a number of good national-wide search engines online where you can browse for available properties. 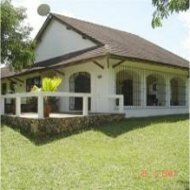 Two of the largest are at Property.co.ke and PropertyKenya.com. Some smaller sites may be helpful if you are looking in a particular region, but these can let you search all of Kenya. You can search for homes, apartments, rentals or empty land plots. The searches will include most major cities. If you are seriously looking for real estate in Kenya's more rural areas, you may also need to contact local agents for assistance.